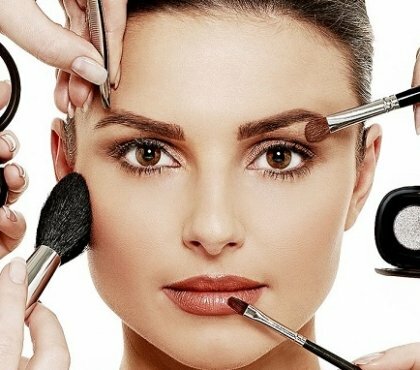 Smokey eyes are the most loved evening look. 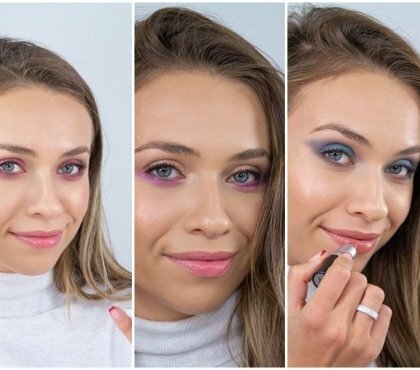 But if you want to try a new eyeshadow placement, try Halo eye makeup for the next party. 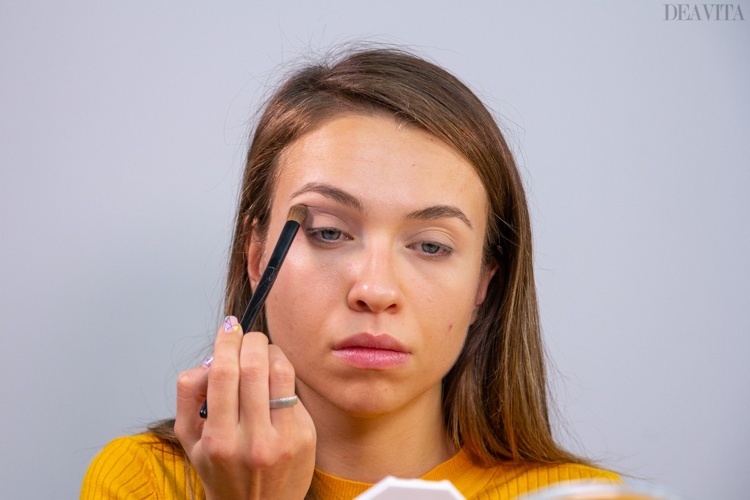 The bright eyeshadow is dabbed in the middle of the lid, while the dark eyeshadow is applied to the edge of the eye and the inner corner of the eye. 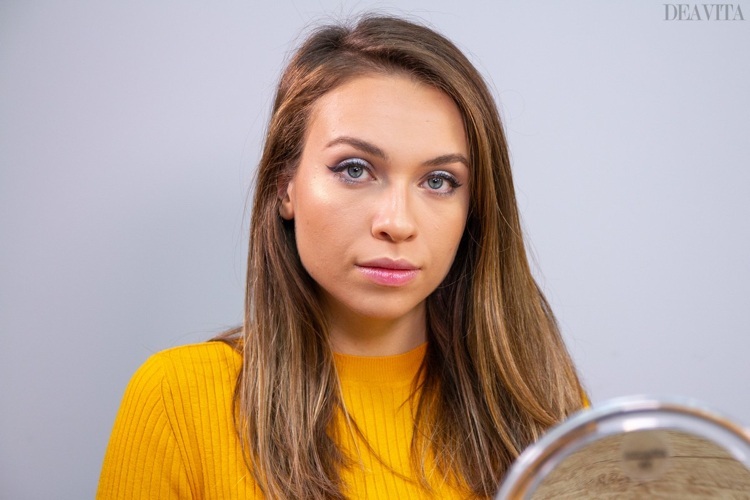 Here we will show you a tutorial for silver halo eye makeup in combination with discreetly toned lips. 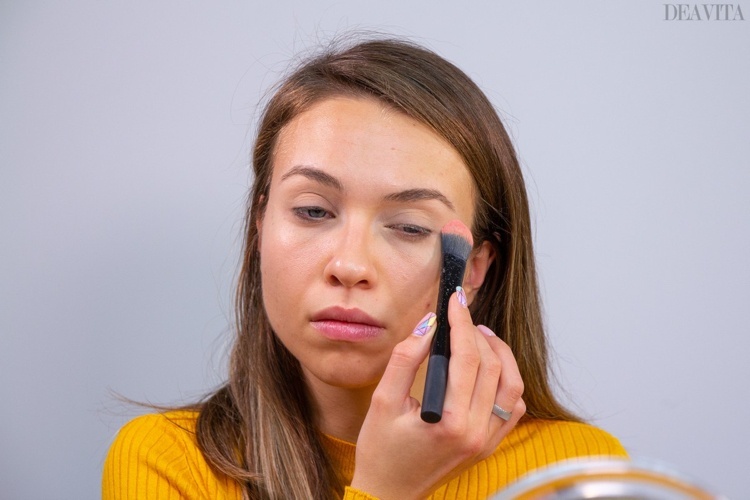 Dot a bit of concealer on the eyelids and blend out with your finger or a makeup sponge. 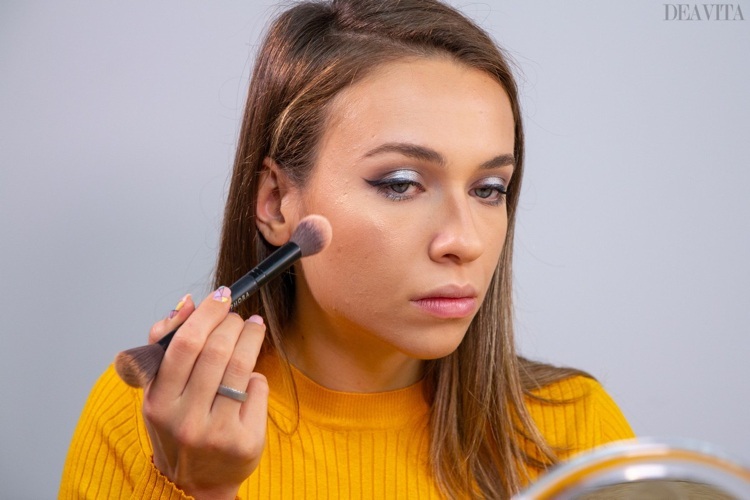 Fix the concealer with powder and tapered foundation brush. Contour the crease using taupe eyeshadow and a defined crease brush. Blend any harsh edges with a fluffy blending brush. 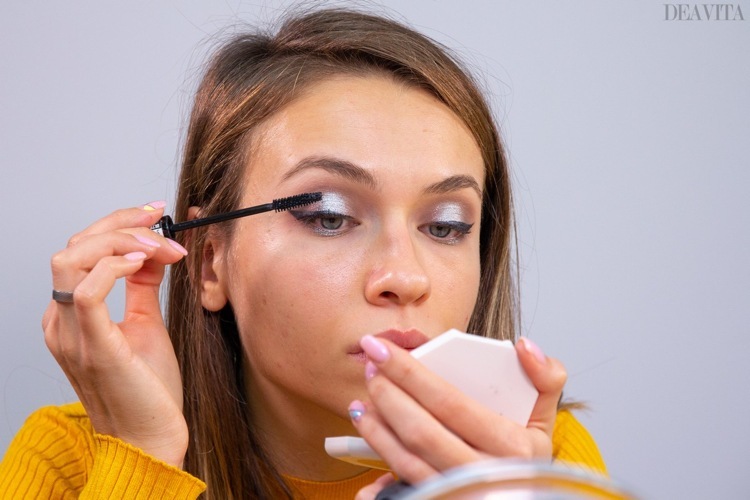 Pack on metallic silver eyeshadow on the middle of the eyelid with your finger. Blend the edges with the defined crease brush. Use the brown eyeshadow to smoke out the lower corners of the lid again leaving the center blank. 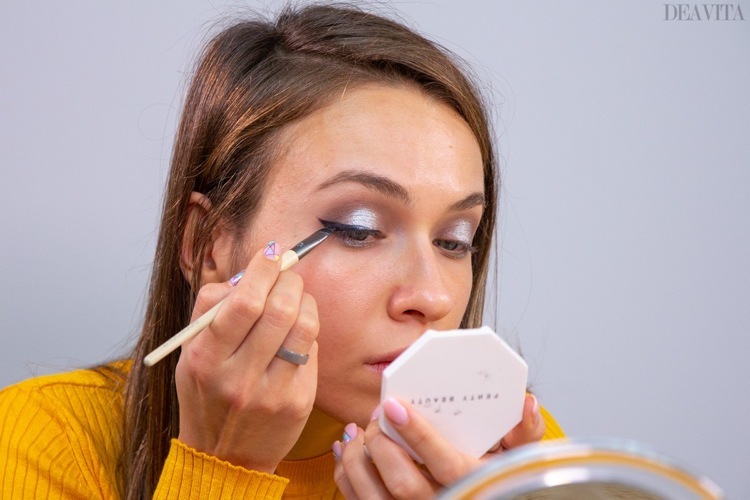 Apply the metallic silver eyeshadow in the center of the lower lid with a smudger brush. 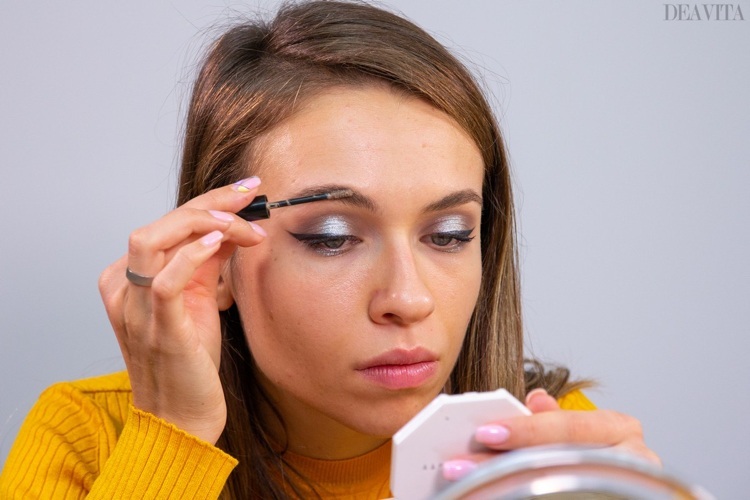 Define the upper lash line with gel eyeliner and an angled brush, starting from the inner portion of the eye until the outer corner is reached. Turn the brush with the angle pointing outwards and draw a wing. 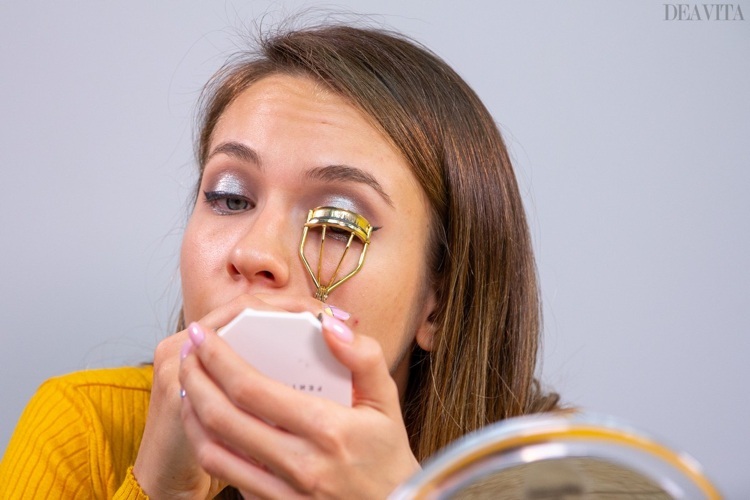 Curl the eyelashes with the eyelash curler. Emphasize and fill in the brows with eyebrow pencil. 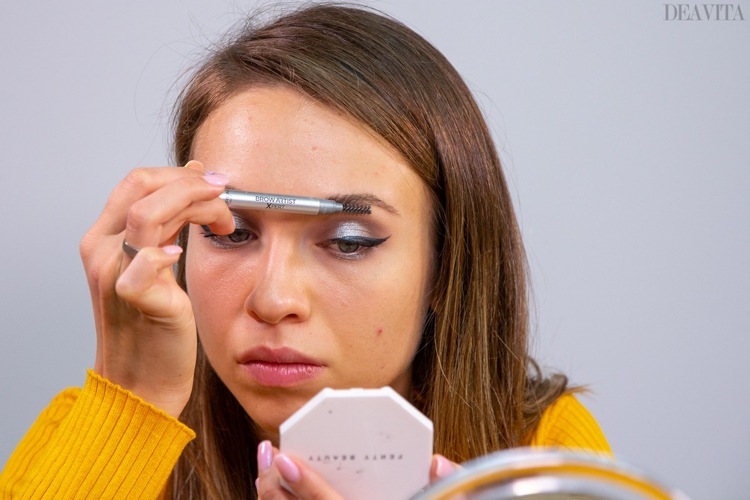 Set eyebrows in place with eyebrow gel. Clean up any eyeshadow fallout with a clean big fluffy brush. Use a primer to prepare the skin. 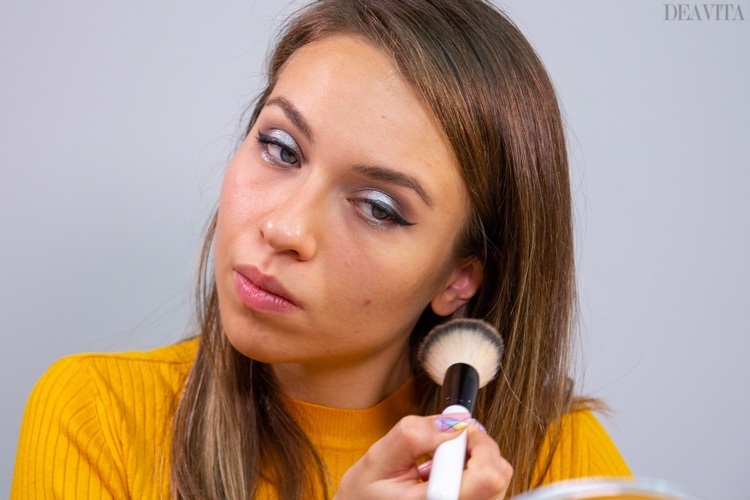 Apply foundation with a makeup sponge. 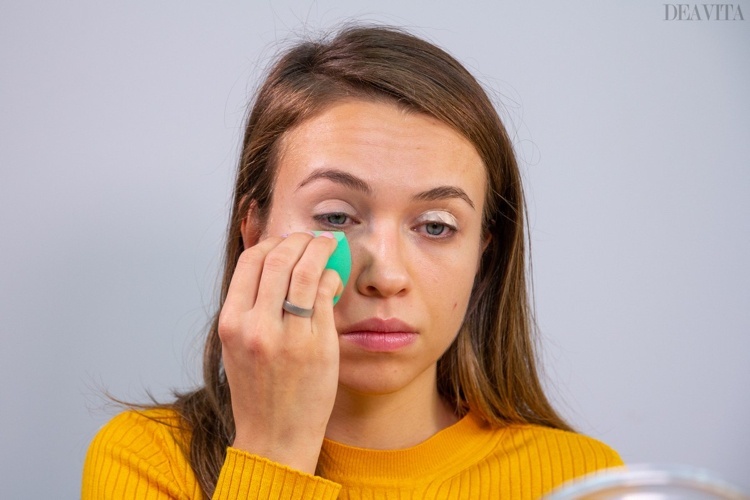 Conceal any under eye dark circles. Brighten up the high points of the face. 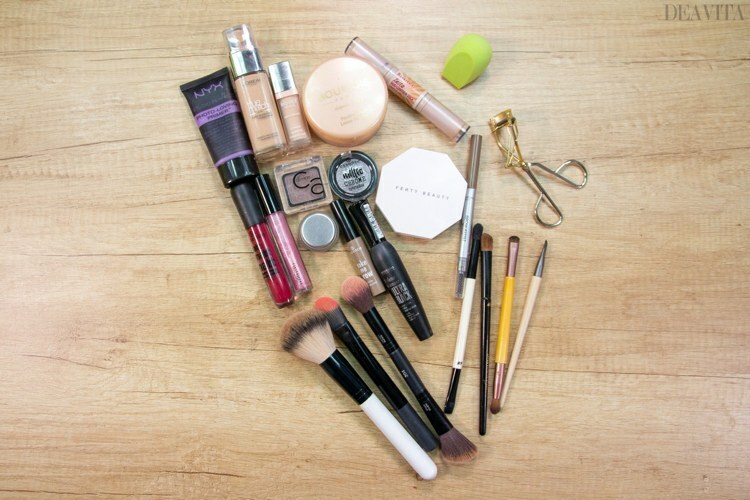 Blend everything well with a makeup sponge. 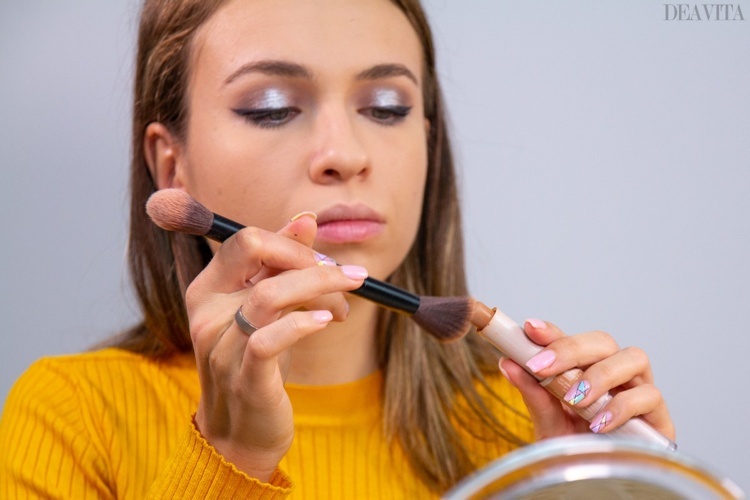 Set the concealer with powder and tapered foundation brush. Apply mascara on the lower lash line. Apply contour with a sculpting brush. Contour the cheekbones, the temples, the upper edges of the forehead and the jaw line. Contour the nose as well. Blend with the sculpting brush. Highlight the high points of your face. Brighten up the inner corners of the eye to make the eyes look bigger. Dot red liquid lipstick in the center of the lips. Use your finger to blend.